As a Xero Developer Partner, we like to keep up to date with the information/updates that come out of Xero. This helps us to stay up to date with the latest trandes and features to ensure we can assist our clients in getting the most out of Xero. Xero's Small Business Insights is an interesting platform providing benchmarks from data of actual Xero users. "Xero Small Business Insights is a snapshot of the sector’s health, updated monthly. Its metrics are based on anonymised, aggregated data drawn from hundreds of thousands of our subscribers. The result is a picture of business conditions that’s more accurate than most private surveys, which have a far smaller sample size, and more frequently updated than most ABS data on small business." 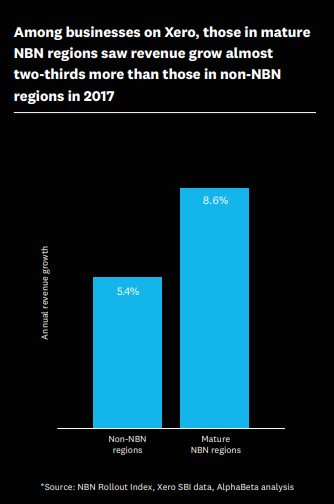 A recent finding of the surveys indicate that access to faster Internet and cloud-based solutions has been a driver in business growth - with Xero businesses in mature NBN regions experiencing higher growth in staff and turnover than in non-mature NBN regions. One of the key findings was the "correlation between integrated app use and better business outcomes for SMEs". Essentially, businesses that have used technology to systemise their workflows are growing at a faster rate. 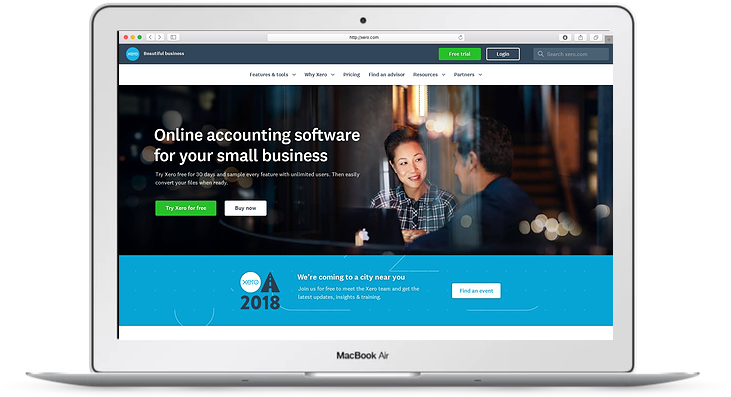 The numbers suggest that businesses using cloud-based Apps with Xero grew their revenue at almost double the rate of businesses using Xero alone. Working with our clients and Xero, we too have see improvements in efficiency when clients integrate Xero to their workflows. We developed a custom cloud-based management system to implement end-of day invoicing using a custom Xero Integration (invoices used to take several weeks to input). And we developed an electrician job management system that manages timesheets and payroll - dramatically streamlining the rostering/timesheet process. Both solutions (along with other developments) had a dramatic impact on the efficiency of operations. There are a number of ways you can integrate Xero into your businesses' workflow. This includes using Apps from the Xero Marketplace; other cloud-based platforms that integrate with Xero; or developing Custom Software Solutions that speak to Xero using the Xero API. Having worked with businesses at implementing integrations across these options, the best solution will ultimately come down to how much the integration supports your workflow and requirements. To see some examples of our recent Xero Integrations, visit our Recent Projects or Contact Us to find out more. I started DCODE GROUP to develop custom, cloud-based software for businesses, corporates and start-ups. Your business/requirements are unique; our goal is to develop software that helps you continue to meet these requirements in a more efficient and effective way - by using software to help re-enforce and replicate systems and processes that make your business unique.